New requirements that Medicare start paying for lung cancer screening for heavy smokers will probably raise costs by about $3 a month for everybody enrolled in the program, researchers projected in a new study. The new analysis seeks to put a price tag on a program that cancer experts say could save lives by catching lung cancer at a stage when it would still be treatable. Studies have only recently shown that new low-dose computed tomography (CT) scans can accurately detect early stage lung cancer. 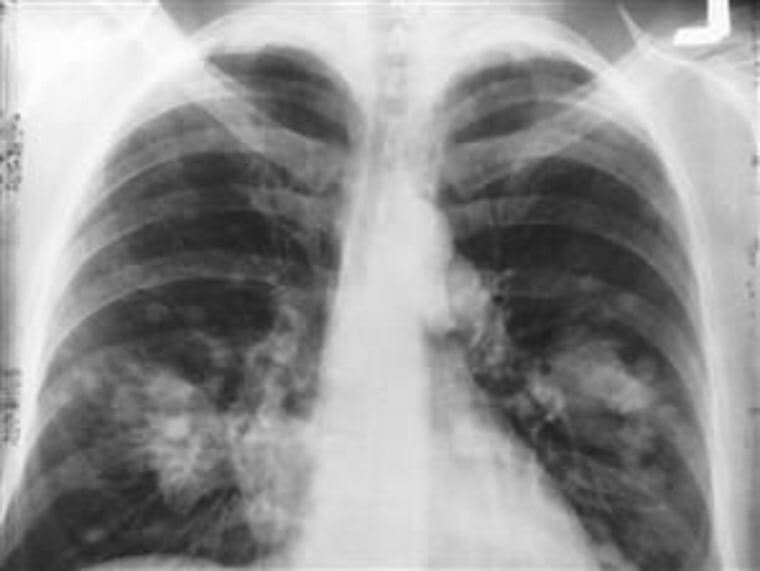 “If we can diagnose lung cancers at an earlier stage, patients can be treated far more effectively and survival prognosis is much better," said Joshua Roth of the Fred Hutchison Cancer Research Center in Seattle, who led the study. If half the patients who are given the chance to get screening did so, Roth’s calculations project that 11.2 million more people would be screened with 54,900 cases of lung cancer detected. Currently, only 15 percent of lung cancers are caught at the earliest stage, before they have spread and when they can still be cured. Under the projection, 33 percent would be caught. “We assume that over five years, 20 percent of high-risk patients would be offered screening each year,” Roth told reporters. That would cost Medicare $9.3 billion over five years when the costs of screening and treating the patients are included, Roth calculated in a study to be presented next month at the annual meeting of the American Society of Clinical Oncology. It works out to an increase of $3 a month per Medicare beneficiary. The U.S. Preventive Services Task Force (USPSTF) recommends that heavy smokers who are at least 55 get an annual CT scan to check for lung cancer. The recommendation means that Medicare and health insurers must pay for the screening without charging patients. The screening test, which costs $250-$300, may prevent as many as 20 percent of future deaths from lung cancer. Lung cancer is so deadly because it doesn’t start causing symptoms until it’s already spread. It kills nearly 160,000 people a year, according to the American Cancer Society. An early study by a team at the Fred Hutchinson Cancer Research Center found that lung cancer screening could add $1.3 to $2 billion in yearly national health care spending. The researchers calculated that the price of preventing one lung cancer death was $240,000.